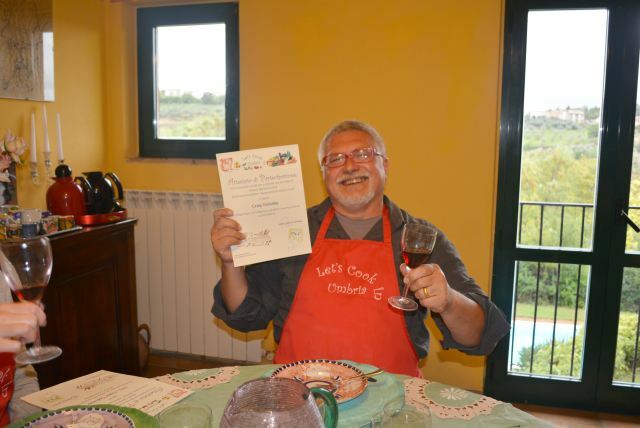 What will I learn during the Let’s Cook in Umbria cooking lesson? Do you have to be an experienced cook to participate in the courses? 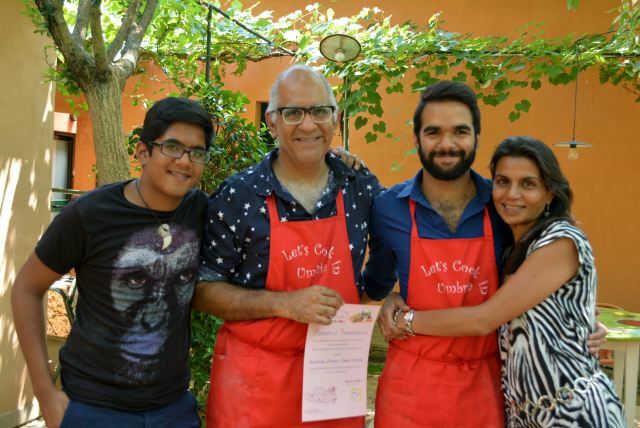 Most participants are amateur cook lovers who enjoy cooking together and enjoy what they have made in good company. The level of expertise is not that important, We welcome everyone to enjoy an exciting experience of Italian cooking. No, there is no minimum age limit for participants. You can also inquire with our staff about classes for families and groups. Children are welcome! We generally have groups that vary in age from 25 to 65. Do you accept bigger group in the cooking class? We can arrange for participants to be picked up from Rome and Florence airport and brought to the farmhouse. What if my traveling partner doesn’t want to learn to cook? If I am a single traveler have I to pay supplement? If you are a solo traveler you can reserve our Program with a single supplement. If you want to reserve a 1 day cooking class and cooking packages you can check in the page https://www.cookinumbria.it//solo-travelers/ the date available to join in confirmed programs. Also in this case you don’t pay supplement! If I a, a solo traveler have I to share the accommodation? No, you will have an apartment of your own at no extra cost. 30% not refundable deposit by credit card is requested to secure the booking. The balance cash or with credit card at your arrive. The deposit is not refundable . The program in which I am most interested is offered for 6 nights, but I have only 3 or 4 nights. Can I take a shorter version? In all cases we can offer a shorter version of the program and the price would be adjusted. Are your trips all inclusive, or are there hidden costs that we discover once there? In our trips are not included the dinners, But you will have accommodation in an apartment with well equipped kitchen and you can prepare personally your dinner, or you can go in the city center restaurant. – will bring you in the Perugia city centre when you can dine in a restaurant, the driver will come to pick up you when you want to bring you back in the farmhouse. Do we eat what we cook? If there are any problems during the trip, what would I do? If you reserve one of our cooking vacations ( accommodation and cooking classes in the morning) you will have free afternoons. In this case we recommend car hire. You are more flexible if you have a car as you have plenty of free time to explore the area and the villas are both quite remote. We recommend either Avis or Europcar as they both have offices in Perugia train station. Where do I find train schedules? If you would like to enjoy the pool and eating al fresco, we would recommend any time from May till mid September. It also depends on your personal preferences regarding the weather. You can use my washing machine ( 5 euro) . What are the GPS co-ordinates to find the Farm? Please just keep it comfortable and casual. Pack layers that will work for many temperatures. 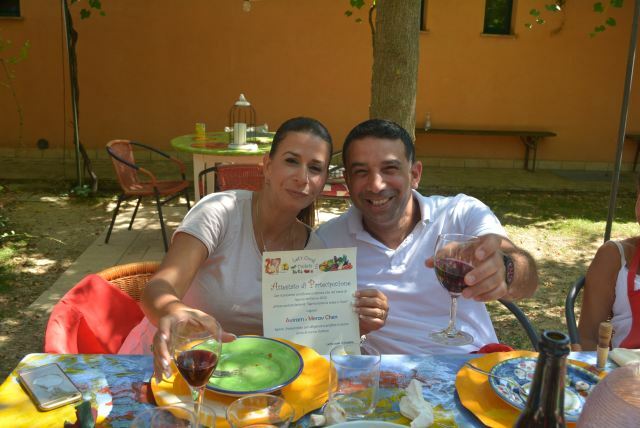 Let’s Cook in Umbria offers free WiFi to all guests. What items are provided in the apartments? In the farm there are only 5 apartments recently restored. The apartments are sunny, panoramic and comfortable: we want our guests, even for a stay of few days, feel them in a cozy house! Each apartment has a living room with a well equipped kitchenette and a double sofa bed, a double or twin room and a bathroom. All apartments are equipped with central heating, TV and Internet wi-fi. In front of each apartment there is a large communal garden which hosts an area equipped with table and chairs to have lunch or dinner al fresco. This is self-catering accommodation (similar to a holiday rental) so there is no daily maid service for your apartments, although there will always be people on hand should you need something.